What is a Genetic Counselor? Modern genetic technology can be used to modify the genomes of living organisms. 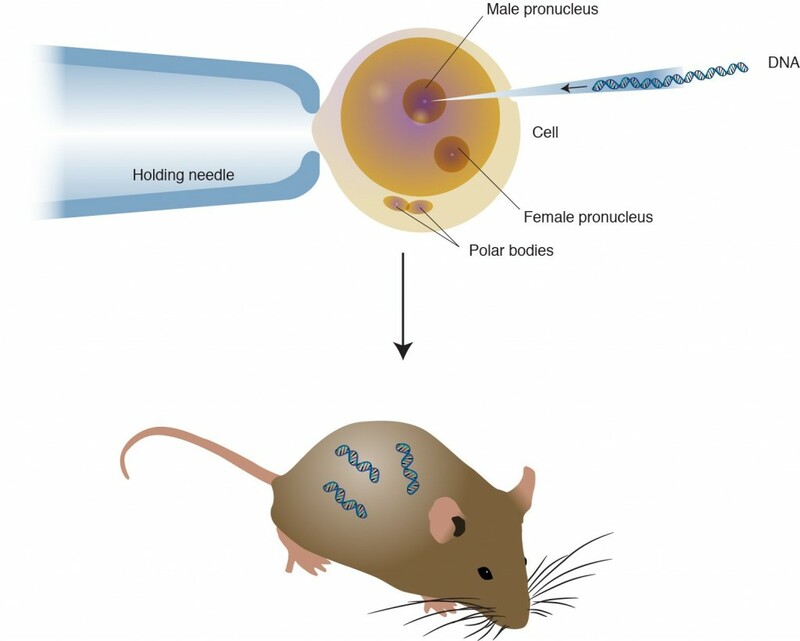 This process is also known as “genetic engineering.” Genes of one species can be modified, or genes can be transplanted from one species to another. Genetic engineering is made possible by recombinant DNA technology. Organisms that have altered genomes are known as transgenic. Most transgenic organisms are generated in the laboratory for research purposes. For example, “knock-out” mice are transgenic mice that have a particular gene of interest disabled. By studying the effects of the missing gene, researchers can better understand the normal function of the gene. particularly in Africa and Southeast Asia. Golden rice is still waiting regulatory approval. recombinant spider silk range from artificial tendons to bulletproof vests. * Vaccine producing bananas: genetically engineered bananas that contain a vaccine. Bananas provide an easy means for delivering a vaccine (especially to children) without the need for a medical professional that is trained in giving shots. Edible vaccines are still in development. chymosin, which splits milk to make cheese. Traditionally, rennet (found in cow stomachs) is used to clot cheese. But, when the demand for firm cheeses surpassed the amount of rennet available, recombinant chymosin was developed and is used widely today. * Low acrylamide potatoes: The J.R. Simplot Company has developed a strain of transgenic potatoes that are modified to resist bruising and browning when cut. They also produce less of the amino acid asparagine. Asparagine contributes to the formation of acrylamide, a known neurotoxin and likely carcinogen, when potatoes are cooked at high temperatures. This means healthier french fries! Genetics Generation is committed to providing impartial and clear information that is engaging and accessible so that everyone can build a strong foundation for informed decision making.